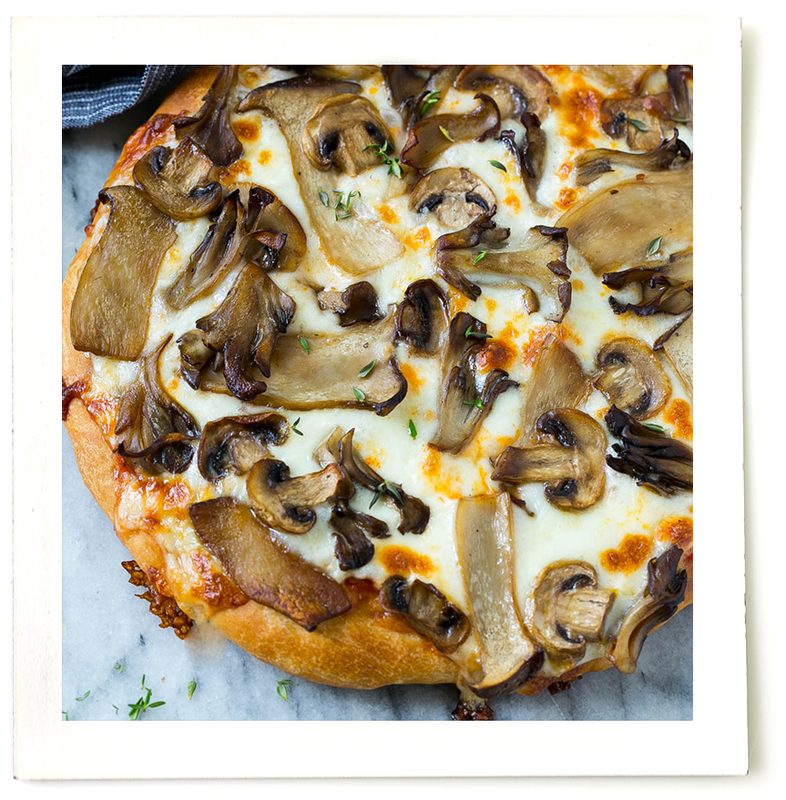 This Wild Mushroom pizza starts with a base of Sonoma Gourmet Organic Pizza Sauce and is topped with plenty of cheese, sautéed wild mushrooms and fresh thyme. Any variety of mushrooms will work on this pizza, we like trumpet mushrooms, hen-of-the-wood mushrooms and cremini mushrooms. 2. Form a large round with the pizza dough, and top with the sauce. Add the shredded cheese on top. 3. Melt the butter in a large pan over medium heat. Add the mushrooms and season with salt and pepper to taste. Cook for 4-5 minutes or until mushrooms are softened and browned. 4. Spread the mushrooms over the cheese layer of the pizza. Bake the pizza for 15 minutes or until cheese is melted and crust is golden brown. Sprinkle with fresh thyme and serve.